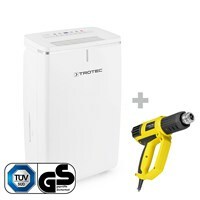 Package deal consiting of TTK 53 E (max.16L/day) and the Cordless Screwdriver PSCS 11-3,6V. The TTK 53 E with a max. performance of 16 litres a day. Inluding the BD5A cross-line laser. Package deal consiting of TTK 53 E (max.16L/day) and the BZ05 and BT20. 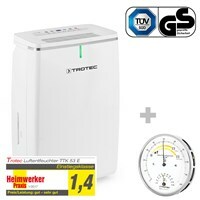 Package deal consiting of TTK 53 E (max.16L/day) and the BZ05 and BX11 Energy Cost Meter. 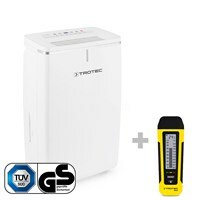 Package deal consiting of TTK 53 E (max.16L/day) and the BZ05 and BY10 Tyre Pressure Meter. Package deal consiting of TTK 53 E (max.16L/day) and the BZ25 CO2 Air Quality Monitoring Device. 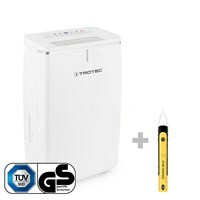 TTK 53 E Dehumidifier has a performance of 16 L per day. The BX09 keeps track of the energy wasters! 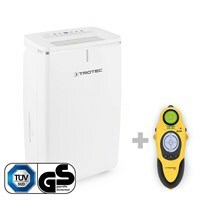 Package deal consiting of TTK 53 E (max.16L/day) and the BX11 Energy Cost Meter. 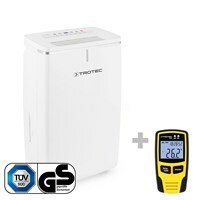 The TTK 53 E Dehumidifier + BM31 Moisture Meter. 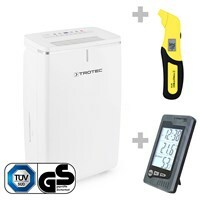 Package deal consiting of TTK 53 E (max.16L/day) and the BM22 Moisture Meter. 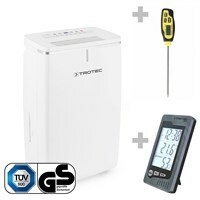 The TTK 53 E Dehumidifier + Barbeque thermometer BT40. 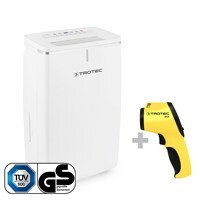 The TTK 53 E Dehumidifier + HyStream 2000 Hot Air Gun. 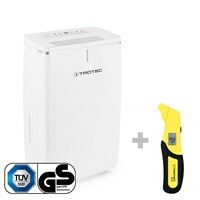 Package deal consiting of TTK 53 E (max.16L/day) and the BP15 Infrared Thermometer. 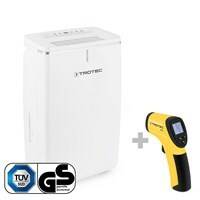 Package deal consiting of TTK 53 E (max.16L/day) and the Infrared Thermometer RP05. 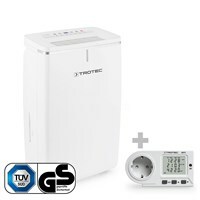 TTK 53 E has a performance of 16L/day. Plus a Pyrometer RP10. 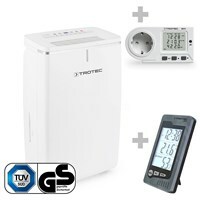 Package deal consiting of TTK 53 E (max.16L/day) and the BL30 Climate Data Logger. 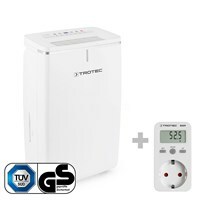 Package deal consiting of TTK 53 E (max.16L/day) and the BR15 Microwave Meter. 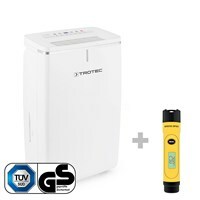 Package deal consiting of TTK 53 E (max.16L/day) and the BP25 Pyrometer-Dew Point Scanner. The TTK 53 E has a dehumidification of 16L/day. 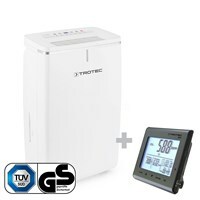 The BZ05 measures air temperature & Rh%. 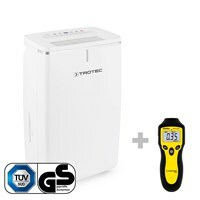 Package deal consiting of TTK 53 E (max.16L/day) and the BY10 Tyre Pressure Meter. 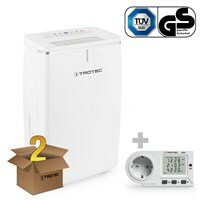 The TTK 53 E has performance of 16L/day. The RE15 locates leaks and burst pipes quickly. 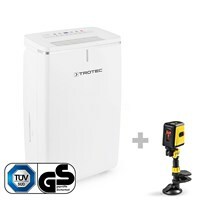 Package deal consiting of TTK 53 E (max.16L/day) and the Wallscanner BI15. 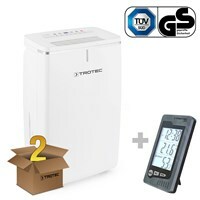 The TTK 53 E Dehumidifier 2 Pack + BX11 Energy Cost Meter. 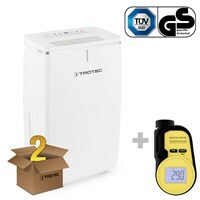 TTK 53 E Dehumidifier with a max. 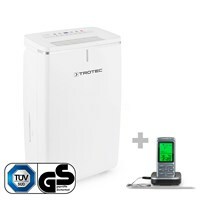 dehumidification of 16 litres a day. Including a BZ05. 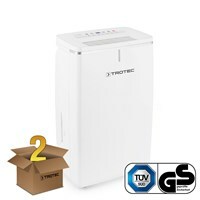 2 Pack TTK 53 E Dehumidifier with a dehumidification of 16 litres a day. Including a Pyrometer RP05. 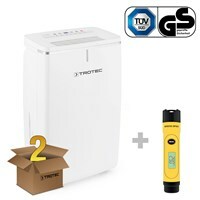 The TTK 53 E Dehumidifier with a max. 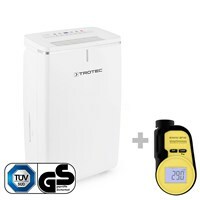 dehumidification performance of 16 litres a day in 2 Pack.